One of the many disadvantages of the Android operating system is the fact that not many devices run its latest version, with several devices often stuck on older versions. To put things in perspective, Google has now released the latest statistics for the distribution of Android versions across all devices that have Google Play Services installed. The numbers tell only half the story as devices without Google Play Services are not included, essentially ruling out the entire Chinese market. The information is based on data collected over a seven day period. Barring a few hiccups, it is the most accurate information we have regarding the distribution of Android devices with particular versions of the Android OS. 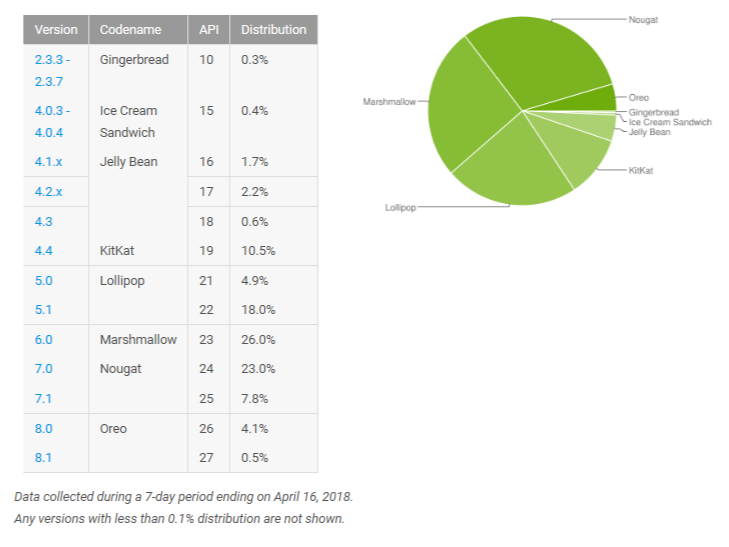 The statistics show that Android Oreo (both 8.0 and 8.1) has seen a significant bump to 4.6%, a near threefold increase from 1.1% in February. 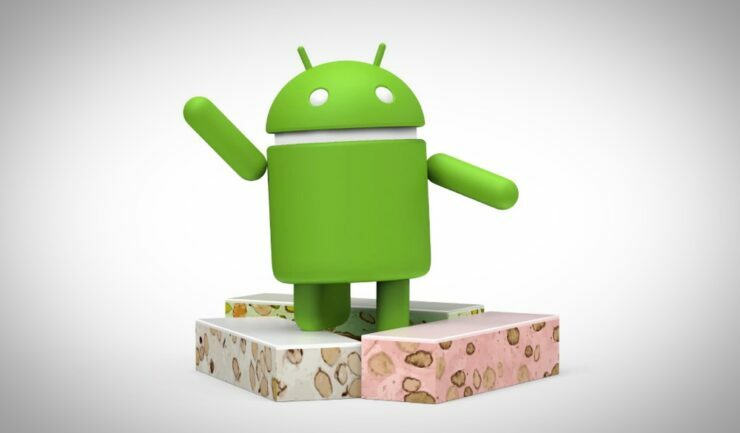 However, Android Nougat is still on the top, as the two-year-old release is installed on approximately 30.8% of all devices. Marshmallow 6.0 is close at its heels and is still running on about 26 percent of all Android devices. Not surprisingly, an astonishing number of devices still run Android Lollipop 5.0 or lower. The sharp rise in the number of devices running Oreo was expected as a lot of OEMs began rolling it out for their devices, most notably, Samsung and Nokia. With practically all the variants of the Galaxy S8, S8 Plus and Note8 running Oreo, the numbers are bound to go up. However, it’ll be a while before Oreo gets higher up on the table, as we’re observing fewer manufacturers promising the update for their devices. By next year, we can expect the number to be close to where Nougat is today, as several non-flagships and lower-priced devices should have received the update by then. As expected, Android P is nowhere to be seen since. It is only available as an opt-in Developer Preview on the Google Pixel devices. The rest of the distribution changes reflect the growing importance of Android Nougat and Oreo. The purpose of these statistics is to help developers decide which versions of Android are worth targeting. The findings also provide data about the relative number of devices that have a particular screen configuration, defined by a combination of screen size and density, which help developers to better design user interfaces for different screen configurations.